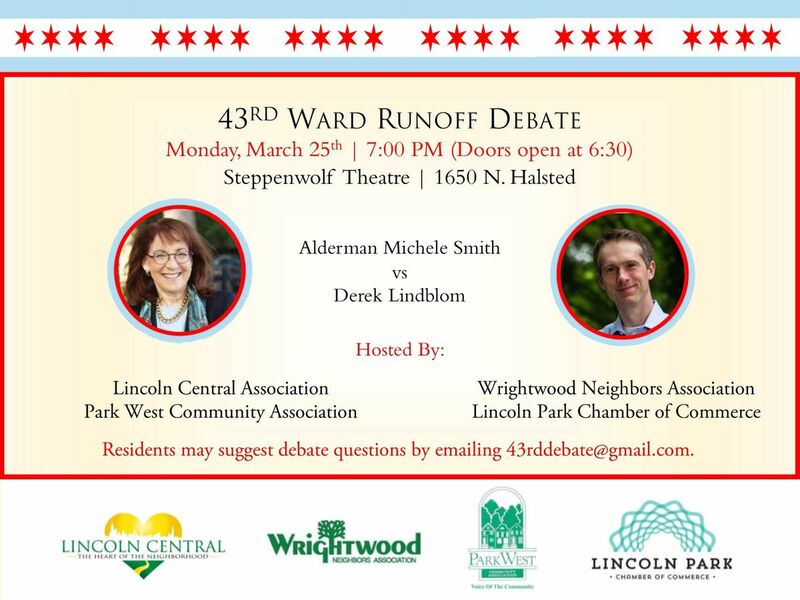 Lincoln Central Association, Wrightwood Neighbors Association, Park West Community Association, and the Lincoln Park Chamber of Commercewill be co-hosting a 43rd Ward aldermanic run-off debate between incumbent Michele Smith and challenger Derek Lindblom on Monday evening, March 25, 2019. 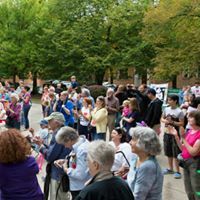 The debate will be held on the main stage at Steppenwolf Theatre(1850 N. Halsted Street) beginning at 7:00 PM (doors will open to the public at 6:30 PM). 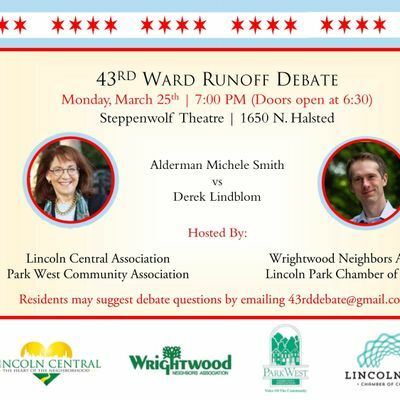 43rd Ward residents may suggest debate questions by emailing NDNyZGRlYmF0ZSB8IGdtYWlsICEgY29t. Submitted questions will be screened and selected by a debate committee comprised of representatives from each host organization. Debate format rules and other information will be announced prior to the debate. The debate will be moderated by Kenneth Dotson, President of Lincoln Central Association.